The Shiv Sena asked Maharashtra Chief Minister Devendra Fadnavis on Tuesday to fulfil his promise of withdrawing police cases filed against the Maratha community members during their violence-marred stir for reservation. Mr Thackeray, an ally of the BJP, was speaking to reporters at his residence 'Matoshree' in suburban Bandra after meeting convenors of the Maratha Kranti Morcha (MKM). The morcha, one of the outfits that spearheaded the quota agitation, sought Thackeray's intervention in withdrawal of police cases against Maratha protesters. "However, they were not taken seriously and so they took out a 'thok morcha' (hit march)," he said. 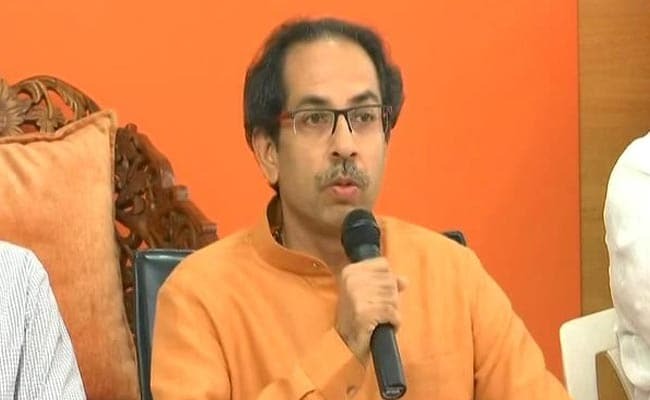 Uddhav Thackeray said some unscrupulous elements took advantage of the Maratha protests and engaged in violence during the stir in July-August. "Thus, if action is to be taken, it should happen justly," he said. The Sena chief said while those who engaged in violence were roaming free, those who did not commit any crime were being harassed. "Arrest them only if there are proofs against them. You (Fadnavis) had said cases will be taken back. However, no such directives have been issued to police stations (where such cases have been registered)," he said. Devendra Fadnavis had earlier assured partial withdrawal of police cases filed against Maratha community members. Such cases related to damage caused to properties during the protests. "However, criminal charges like assaulting police officials will not be withdrawn," the chief minister, who also holds the home portfolio, had said. The Shiv Sena is part of the BJP-led governments in Maharashtra and also at the Centre.